We alternate the anchor colors on these so pick your favorites for the them too. 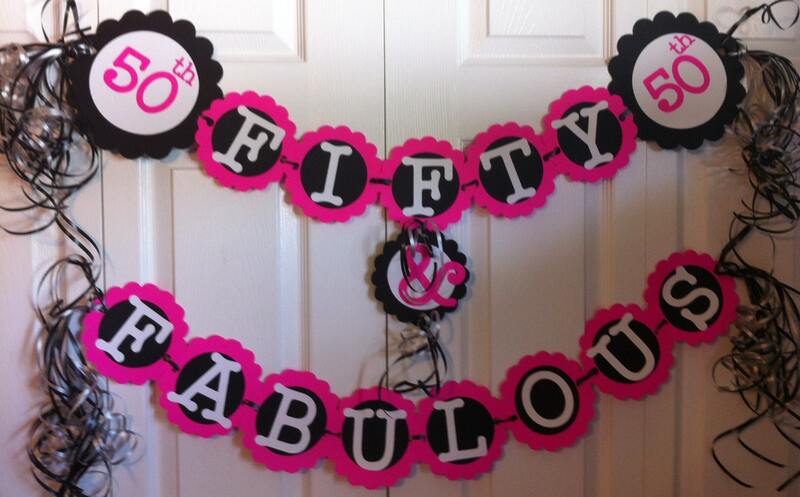 The Fifty and Fabulous theme can be carried throughout your party scene as Light Danglers, Centerpieces and more! Check out our party shop on Etsy for more party decoration ideas. Have an idea on something you don't see, just convo with us and perhaps we can help. We Love custom orders.